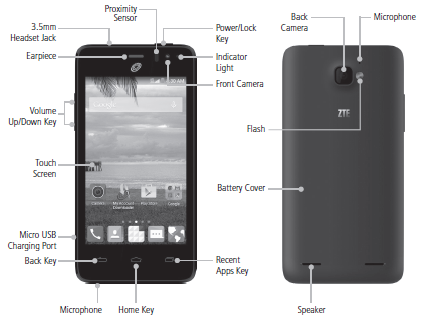 The ZTE Zephyr user manual consist of 43 pages with fle size of 2.95 MB. 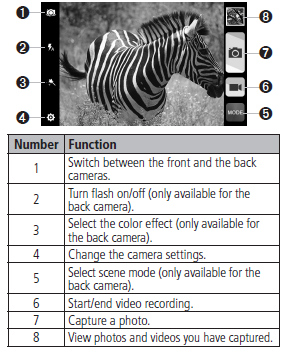 The manual provide detail reference information such as tutorial Installing the microSDHC™ Card on page 5, Setting Up Your Phone for the First Time, Locking/Unlocking the Screen and Keys, using the touch screen, Changing the System Language and date also time, Changing the Ringtone and Notification Sound, changing wallpapersm protecting phone, using widgets, Connecting to Wi-Fi and bluetooth, Connecting to Virtual Private Networks, phone calls, Importing, Exporting, and Sharing Contacts, etc. In addition, also provide information about using email, Configuring Account Sync, Changing Google+ Settings, using browser for access the internet, using Google maps, Google search, using camera and tutorial recording a video, using gallery and play music, using play books and movie, file manager, Upgrading the Phone Software, and troubleshooting. For troubleshooting, you can read on page 71-73. For example about Phone crashes, reboots, freeze, or cannot be powered on, so you must try Reset the phone to factory status.